Buzzy New Zealand fusion food joint with a restaurant upstairs, and a more informal tapa room below, invariably packed with a cheery crowd from Marylebone village. Upstairs, the menu offered plenty of imagination, but little of the fiddliness that fusion food sometimes suffers from. These are decent portions of sturdy - but not over-rich - combinations of meat, fish and vegetables, that took cues from all over the world. On a blazing hot day, the restaurant's two outdoor tables are never empty - inside can get pretty crowded too but chef Peter Gordon's lightness of touch is just the thing - less so the sommelier, who might be appalled at the idea that you might drink a cheap beaujolais, perfectly chilled. You may well find yourself going with his more expensive option instead. Downstairs, the Tapa room is hugely popular and the inevitable weekend lunchtime queue - not helped by the 'no booking' policy - speaks for itself. Both the restaurant and tapa room provide an impressive example of innovation without pretension. Providores & Tapa Room gyms, sporting activities, health & beauty and fitness. 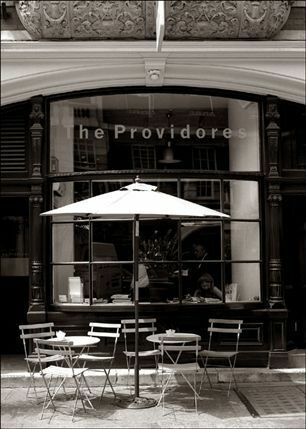 The best pubs near London Providores & Tapa Room. Providores & Tapa Room clubs, bars, cabaret nights, casinos and interesting nightlife. Where to have your meeting, conference, exhibition, private dining or training course near Providores & Tapa Room. From cheap budget accommodation to luxury 5 star hotels see our deals for Providores & Tapa Room hotels, including Park Plaza Sherlock Holmes Hotel London from 74% off.